Last week we shared a recent branding project. 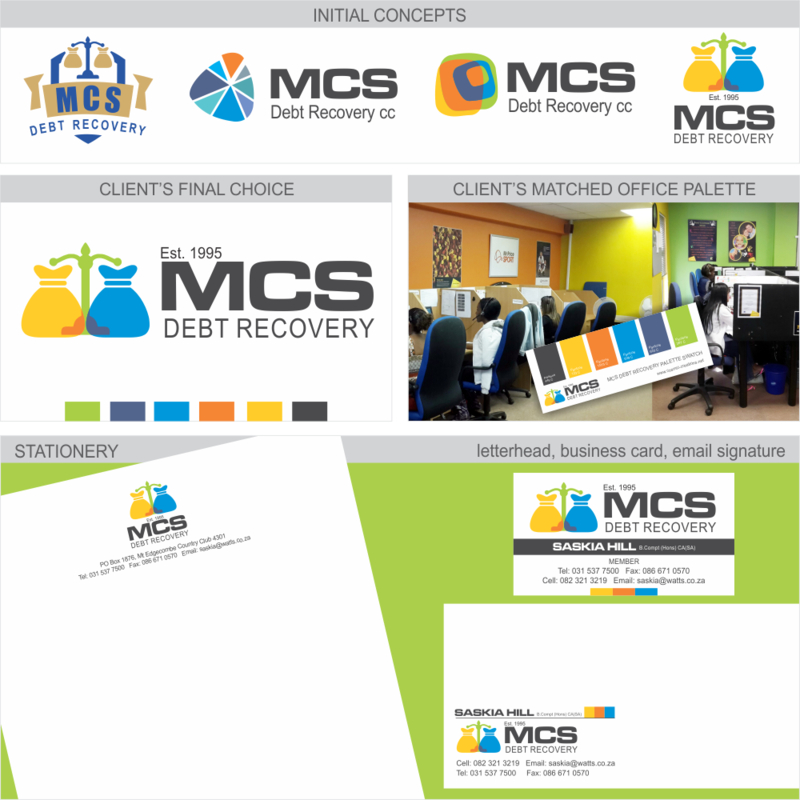 Today we have another one - for MCS Debt Recovery. Their previous logo was a royal blue oval containing the letters MCS. They felt it was too plain and simple and wanted something more interesting and colourful. The project brief was a bit vague, but if you look at our proposed initial concepts you'll notice that we gave the client a decent variety of styles to choose from as a starting point. Our personal favourite was the third concept with the layered rectangular shapes, but Saskia from MCS really liked the idea of the 'money-bag scales', which is a bit different from other run-of-the-mill logos in their field, which matches their attitude perfectly as they are different. If you need help recovering debts from clients who don't pay - give MCS a call! To match their new look, MCS wanted to paint their offices in the same colours as their logo so we created a palette swatch for them to take to their local paint shop for matching. You can see the results of their hard work in the photos below. Another fun and successful project done and dusted. Thank you Saskia from MCS.